With the failure of the Israeli famous historical destruction machine in Jully 2006 war on Lebanon, and 2008 war on besieged Gaza, Israel and the West realised that the power balance in the Middle East as a whole has changed, and the existence of Israel as an entity at risk, that the days of Israel in the region are numbered. The USRAELI reading was clear and concise and simplified: Hezbollah-Hamas is able to eliminate Israel. We fail to eradicate Hezbollah-Hamas . 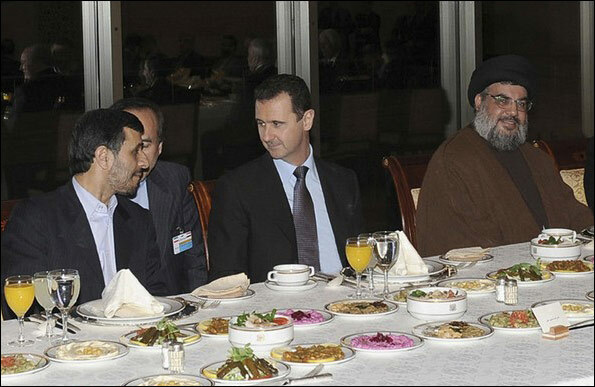 Behind them there are another axis: Syria-Iran. Let us try there. They tried in Tehran in June 2009, but the final result was limited, given the absence of Iranian alternatives ready. But the strategic turnover started with using sleeping allied forces Turkey and Qatar to reach a comprehensive package with the Muslim Brotherhood. Washington: We want Assad’s head to break the Bridge connecting Gaza and Tehran in the middle. We support you. What you want in return? Brothers answered quickly: We don’t deal by piece, let us negotiate on the whole region, from Morocco to Turkey. Brothers: No problem, there is no hostility towards Israel in all our morals and literiture. Brothers: Agreed, let us start with Tunis, a little bite, can be digested easly, Nahda, our offspring is ready, after Tunis we move as convienient. BTW, during the mission, we shall face Christians and some minorities who would create problems for us and for you. Washington: Don’t be afraid, we will silence them we control the media, then they will flee quickly, as they did in Iraq? Excellent. Brothers: We meet in the Palace of the people. In short Hamas, as a resistance movement might be the first victim of the deal. Cornered Usrael and its own “brothers” Hamas is buying time to get out of the corner. Khalid Amayereh has no balls to ask the new rulers of Egypt to improve the treatment of Palestinians at Rafah crossing, and houor the Palestinian travel document issued by Egypt. BTW, this uprooted Palestinian, worked in Libya from 1973 to 1977, because Libya was the only Arab country, after Syria, open to Palestinians without Visa. “Brother” Khalid, should ask his Libyan brothers to adopt what he called smart politics, Granting visas for Israelis to enter Libya is subject a certificate of “Good conduct” issued by PA. 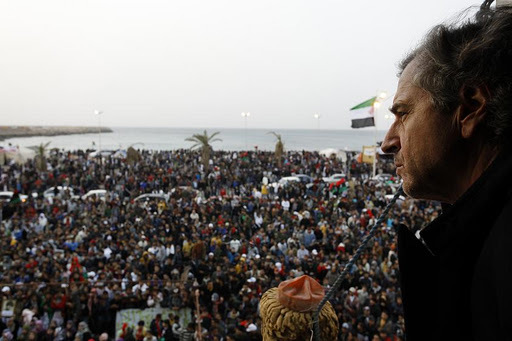 In case you missed it: Are Libya’s Palestinians ready for the post-Gaddafi era? So stay tuned. The US Aircraft George Bush off Syrian Coast, but remember what happened in 1982. The New and Old Arab Governments voted to suspend the membership of Syria, the last Arab fort, in “Arab League”. At a joint press conference with his Jordanian counterpart, Davotuglo said: “We think it is now vital to put an end to the suffering of the Syrian people”. The two leaders discussed ways to implement the reconciliation agreement reached seven months ago during their meeting which ended at noon Thursday. The two sides agreed to end the file of political detention within days, this was agreed during the meeting between representatives of Fatah and Hamas, as the two delegations joined the wider meeting in the presence of Mishaal and Abbas. The two leaders discussed strategies to get out of the present crisis that the Palestinian issue is going through, especially as negotiations failed. They also agreed a meeting on 22 December for the leadership framework of the PLO (leaders of Palestinian factions). They also agreed on holding legislative and presidential elections next May. Source that participated in the meetings told PIC that the meeting was a prelude to more meetings between the two movements to pave the way for forming a transitional government that will prepare for elections, rebuild the Gaza Strip, reinforce social harmony and unify the PA institutes. They also discussed the future of the PA, the situation in Jerusalem, the PLO and its activation, the rebuilding of the Palestinian National Council as well as the lull and popular resistance. PA must end security coordination with Israel now to withstand Israeli bullying and blackmail.